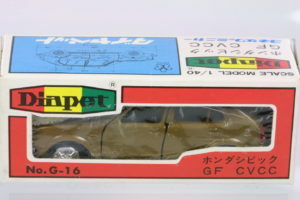 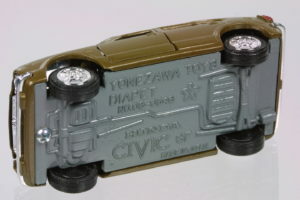 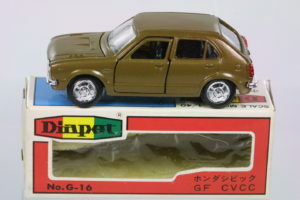 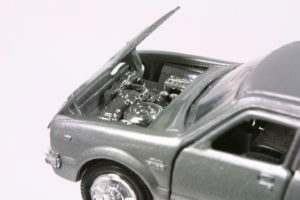 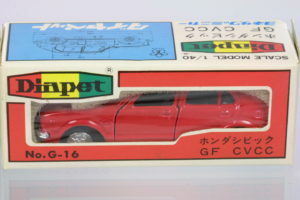 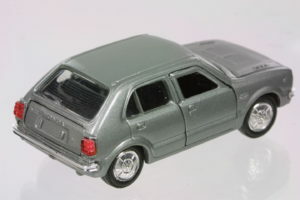 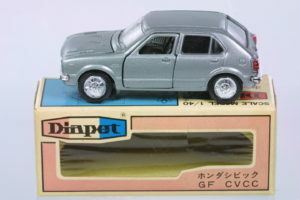 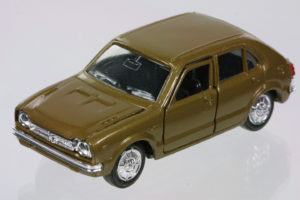 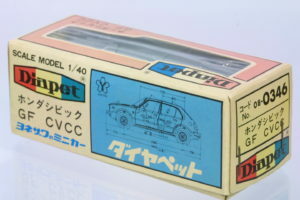 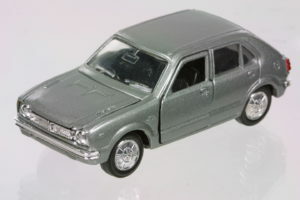 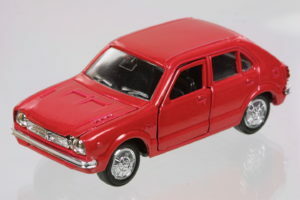 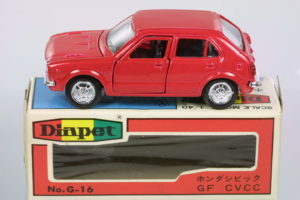 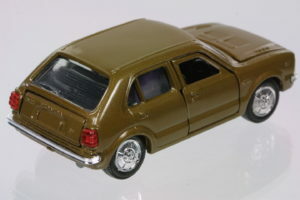 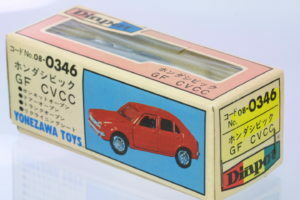 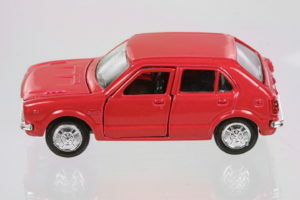 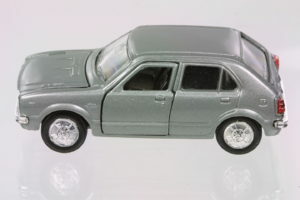 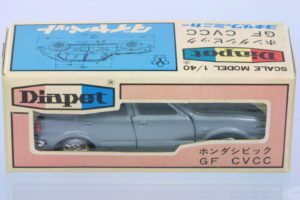 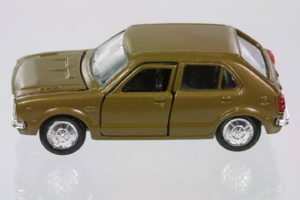 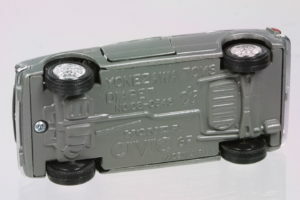 Diapet had one of the earlier models of the Civic in 1:40 scale. 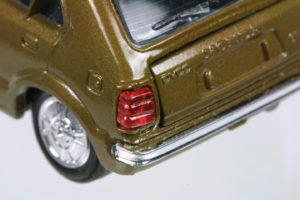 Here, they are seen in brown, red and silver. 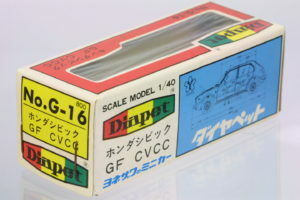 They come in a windowed box sharing the G-16 model number. 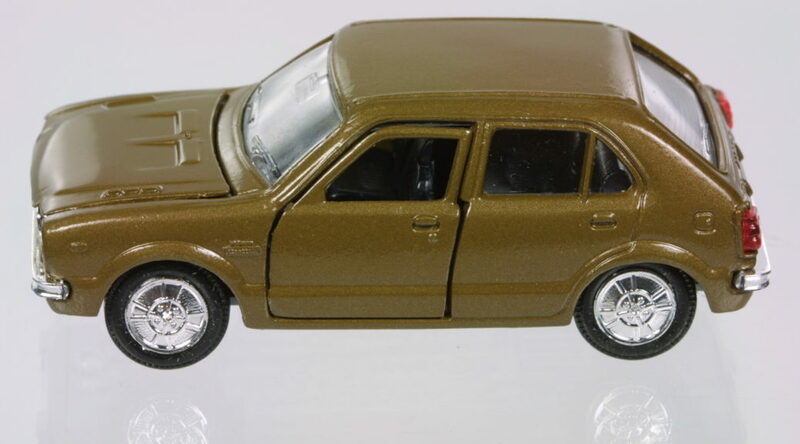 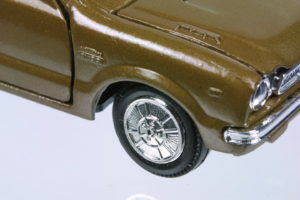 In brown – which comes with a silver undercarriage and chrome wheel covers. 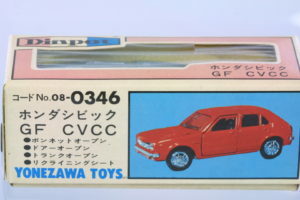 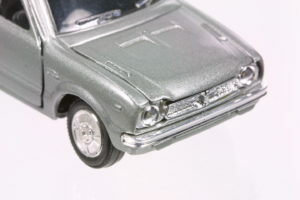 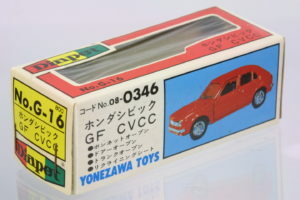 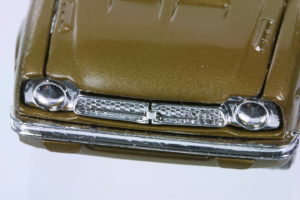 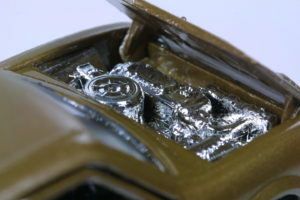 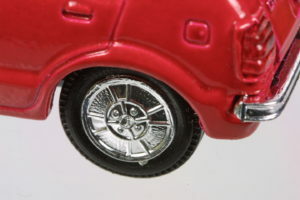 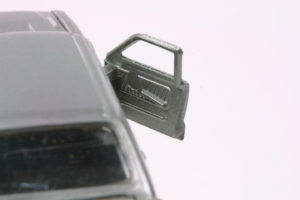 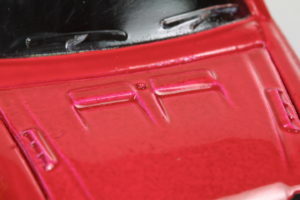 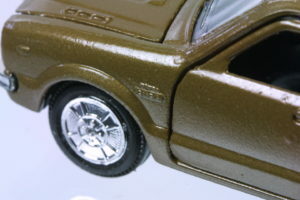 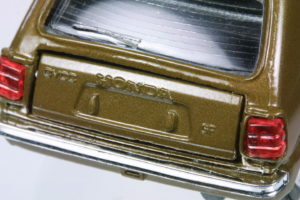 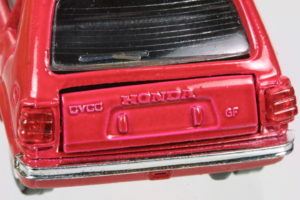 The details are good for a model released in that era (circa 1970s) – including an operating trunk. 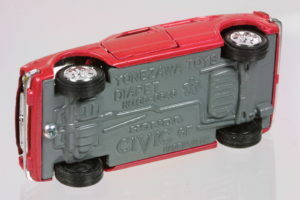 In red with a silver undercarriage. 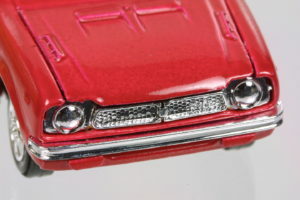 Operating hood/bonnet and front doors showcase details under the covers. 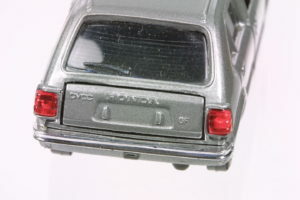 In silver. 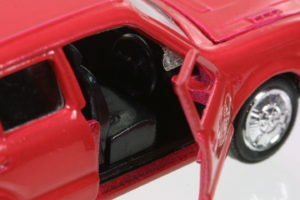 Check out the details on the inside of the doors.